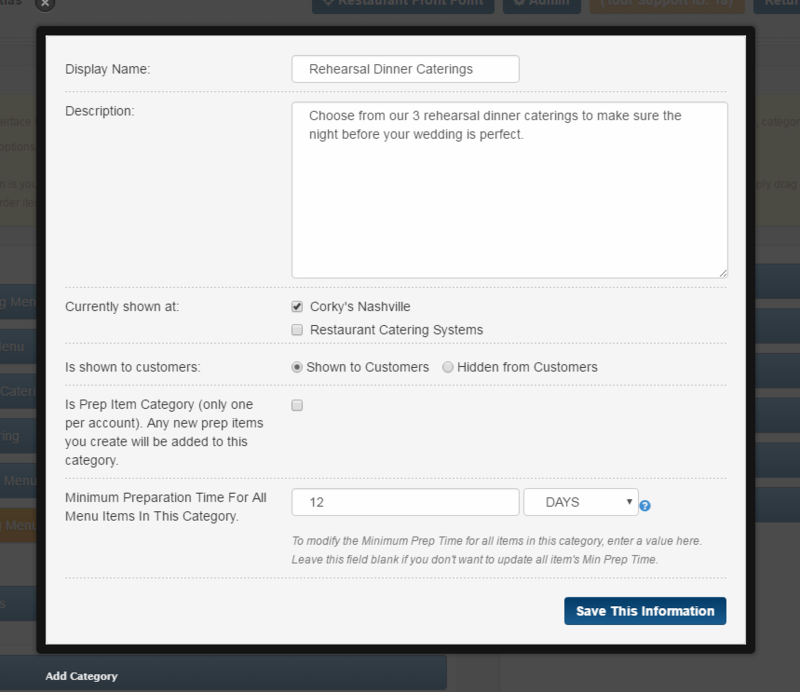 In this article we will go over how to create Menu Categories. Please note the Menu (see article) must be created before you can create a Menu Category. 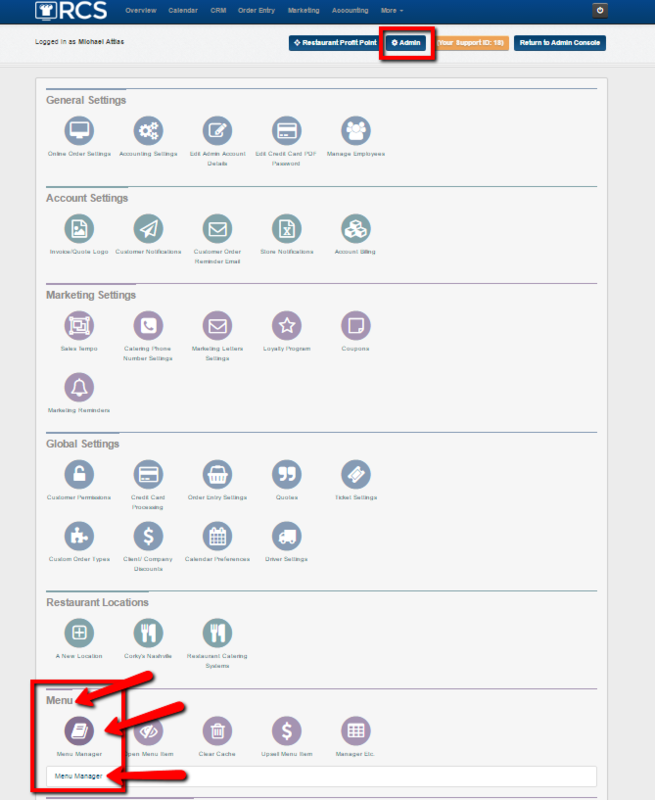 1 - First click on the Admin tab - look for the Menu section - click on the Menu Manager bubble and then Menu Manager link. 2 - You will then see your Menus to the Left of the page. Click on the Menu that you want to add the Category too. Once you click on the Menu the Menu will Open up and the color will change to Orange. 3 - Next click on the Add Category tab. 4 - A pop up box will appear that will allow you to add the Category. B - If you want to include details or descriptions about the category add here. C - Choose which Location you want the Category to appear under. 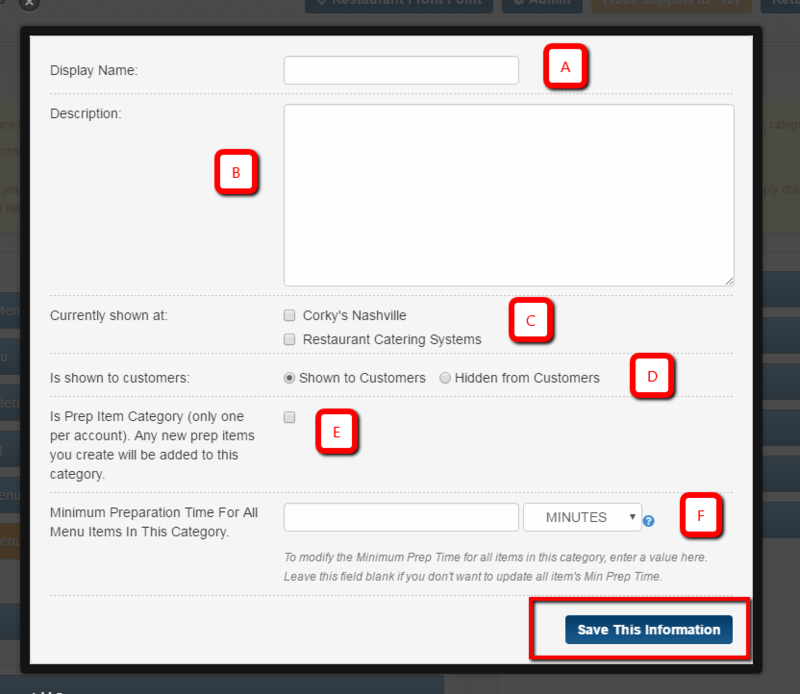 D - If the Category is only for Employees to view then click on the Hidden from Customers section. E - This is ONLY if you are creating menu prep items - this is typically done for you by CaterZen during your Kitchen and Production Report training session. F - Set a minimum prep notice time for all menu items here. Don't forget to click Save after creating your new category. You have now created a new Category to appear under a Menu in your CaterZen account. 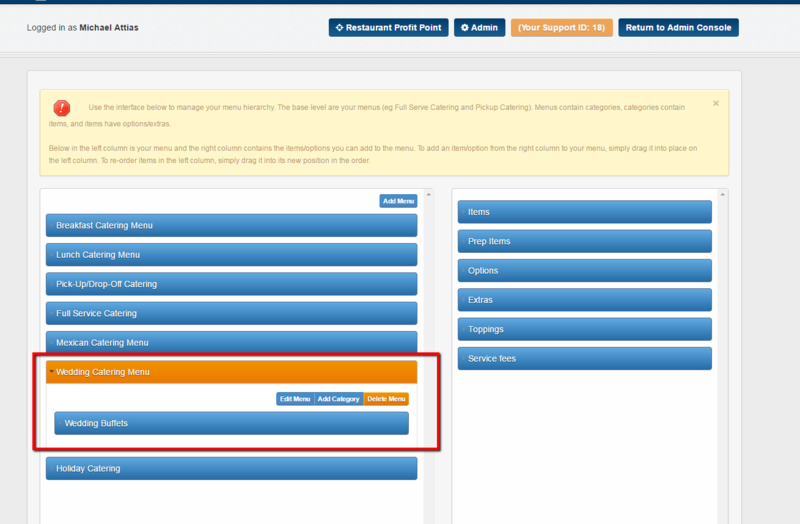 Your next step will be to add menu items to your category (please see article).